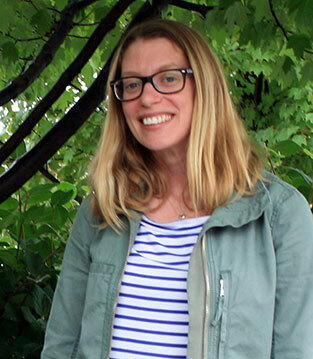 This link is to justify the menu layout. Check in using the NoWait app! 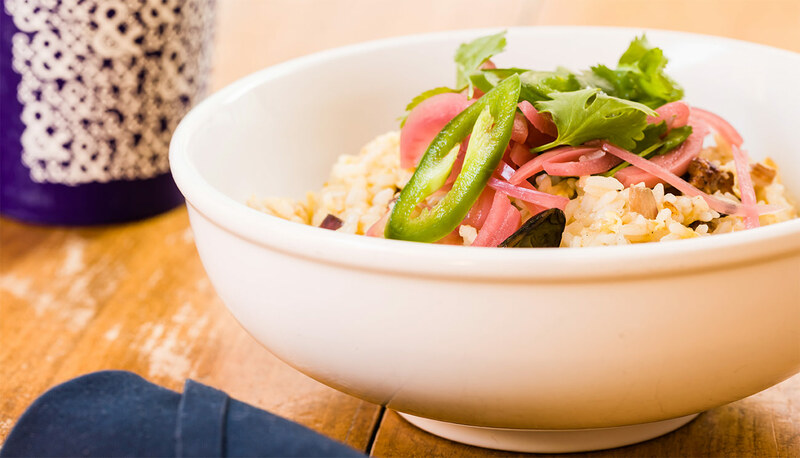 You can now order delivery from both Half & Half locations through Postmates. 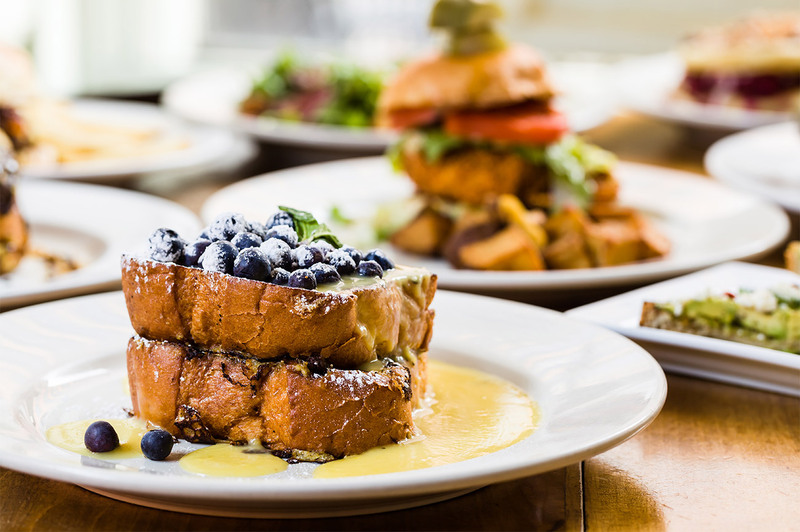 Half & Half is a breakfast, lunch and brunch destination with locations in Clayton and Webster Groves, Missouri. 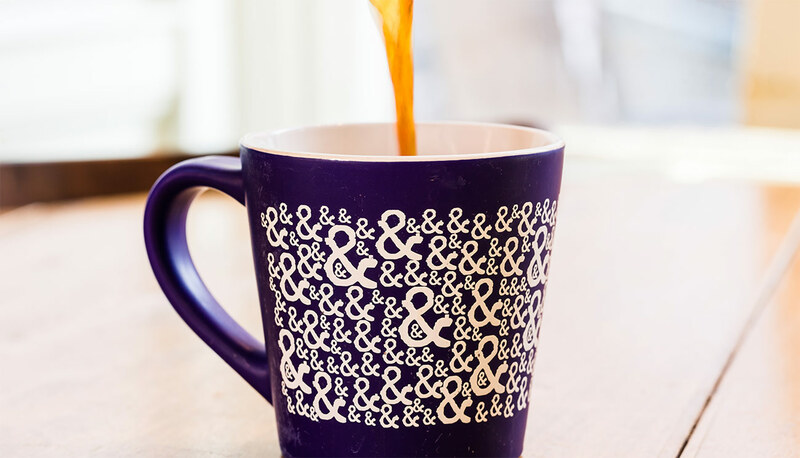 At Half & Half, we have had one goal from day one: deliver great food with great coffee. 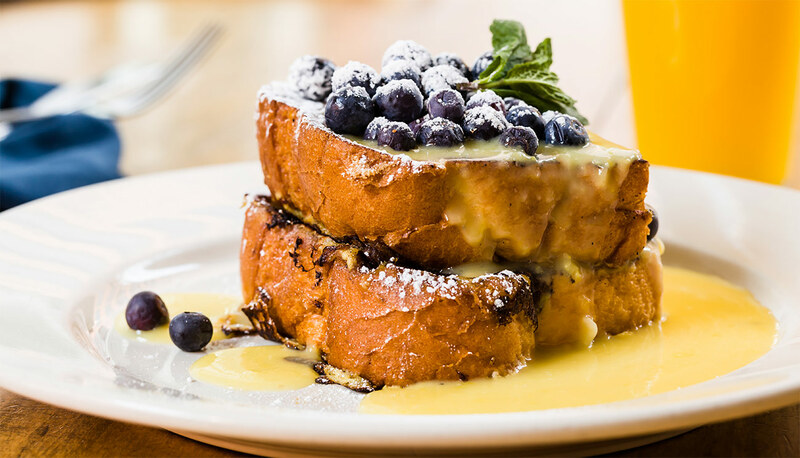 It’s our mission to offer perfected brunch classics with an equally focused coffee program. Our loyal Half & Half customers return for our made-from-scratch dishes like our Clara Cakes, pancakes with raspberry jam, mascarpone and granola, or our Sausage Biscuit with housemade sausage, country biscuit, scrambled eggs, aioli and potatoes. Our close relationship with Blueprint Coffee allows us to offer a superior coffee program for our guests. Our rotating coffee menu features seasonal coffees in a variety of hand-crafted styles. We always offer a specialty roast from Blueprint as well as another guest roaster from another like-minded US company. 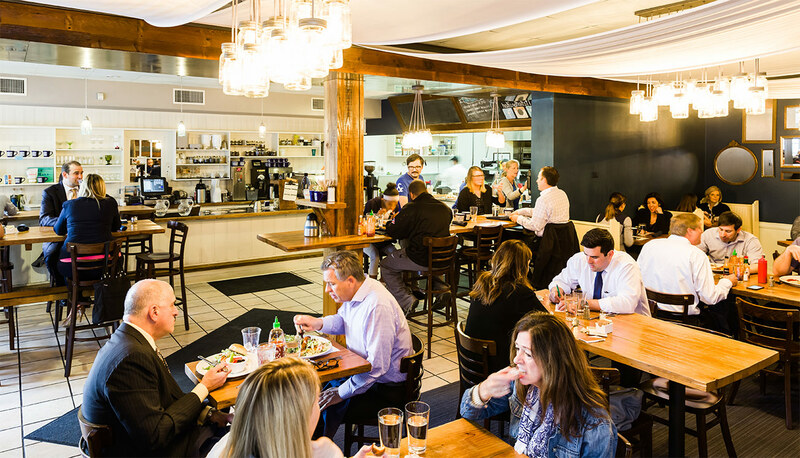 Whether it's at the coffee bar or in one of our comfy booths, join us in our kitchen to start your day off right, or relax over brunch with friends and family on the weekend. Check out Instagram and Twitter for brunch specials (posted every Saturday morning)! *We proudly serve cage-free eggs. Please check out our coffee & fine drinks menu for our full selection of coffee, cocktails, beer and wine. Dining room at Half & Half. 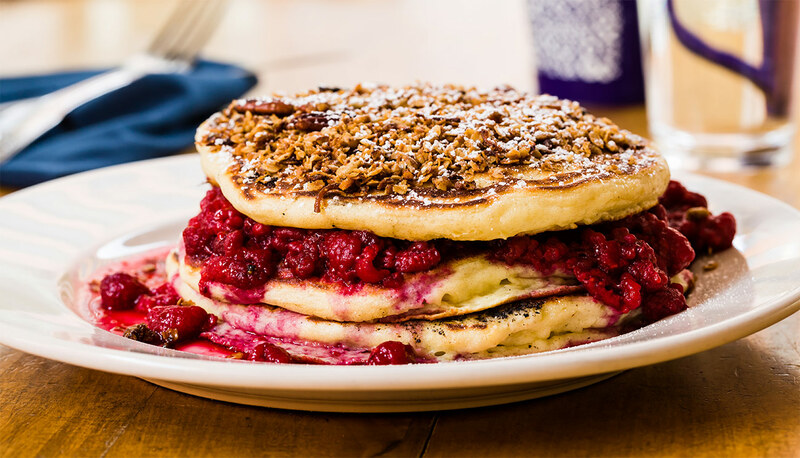 Clara Cakes - pancakes, raspberry, mascarpone & granola. 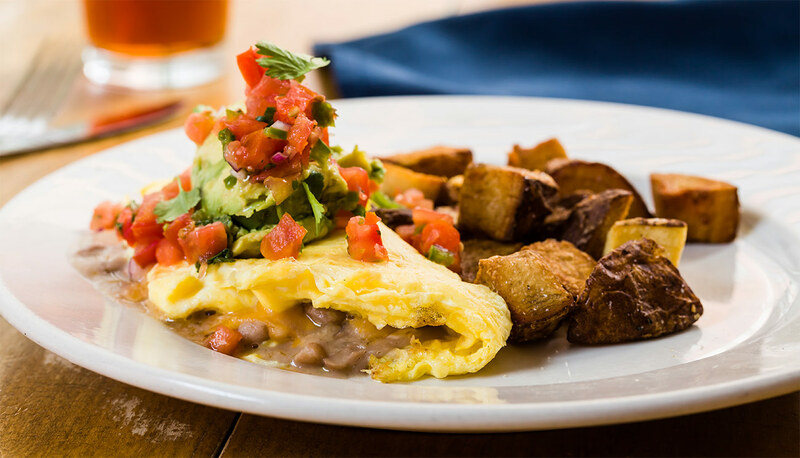 Cali omelette - pinto beans, cheddar, avocado, pico de gallo. Tess' toast - whipped butter, lemon curd, fresh berries, powdered sugar. Breakfast fried rice - scrambled eggs, breakfast sausage, jalapeno, onions. 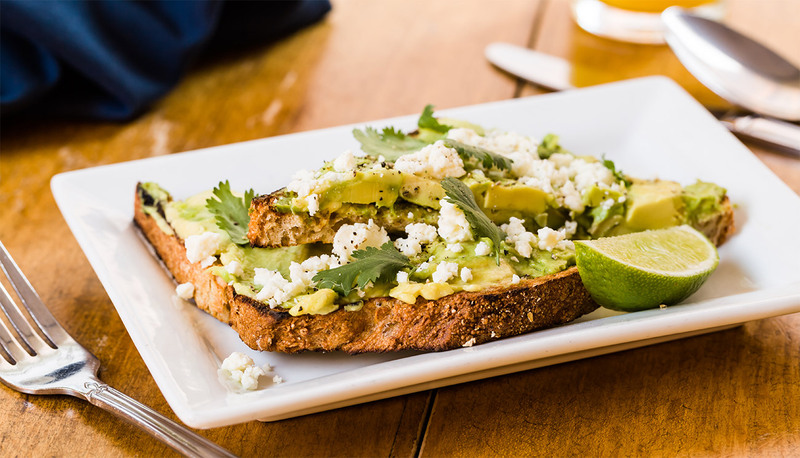 Avocado toast - wheat, feta, cilantro, lime, cracked pepper. 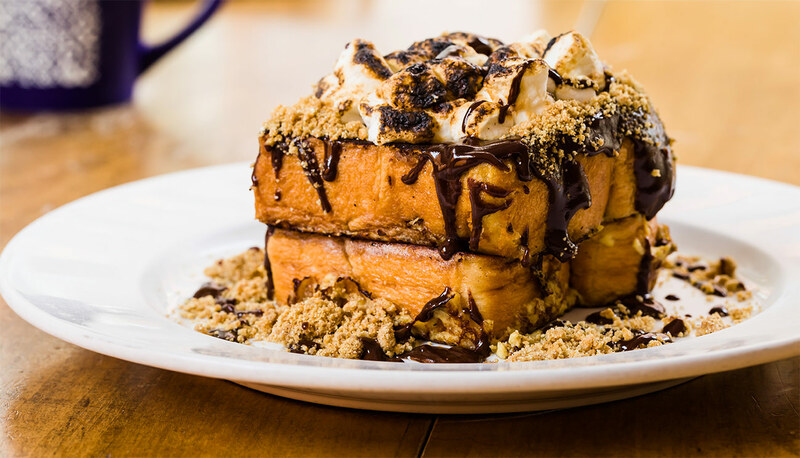 S'mores french toast - chocolate, graham cracker, toasted marshamallow. 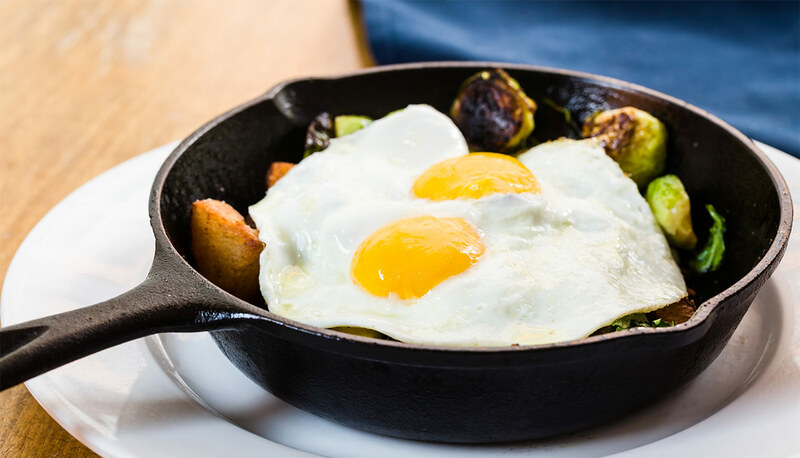 Veggie hash - sunny eggs, brussels sprouts, spinach, onion & potatoes. 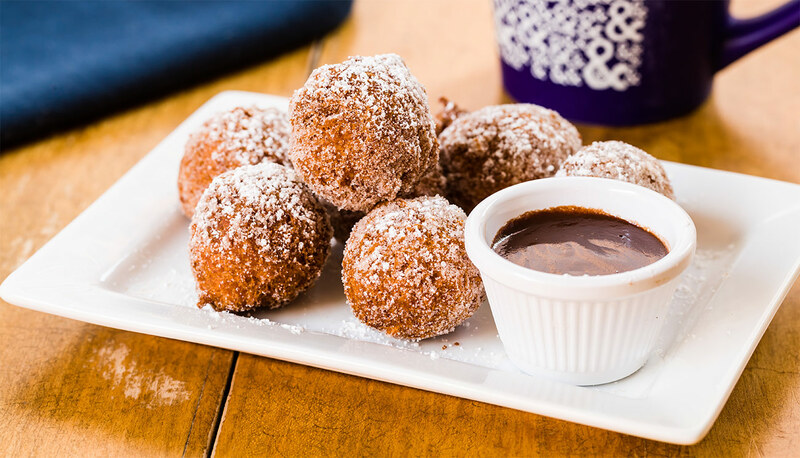 Doughnuts - cinnamon sugar & chocolate. Bacon, egg & cheddar burger on brichoe bun w/ aioli. 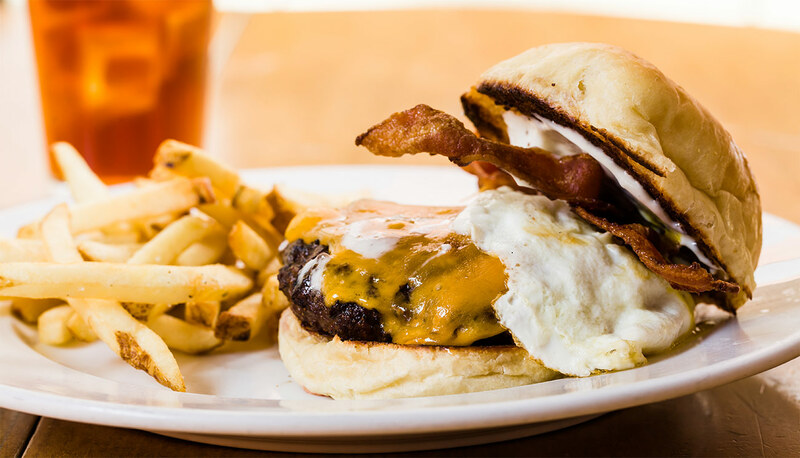 Bacon, egg & cheddar burger. 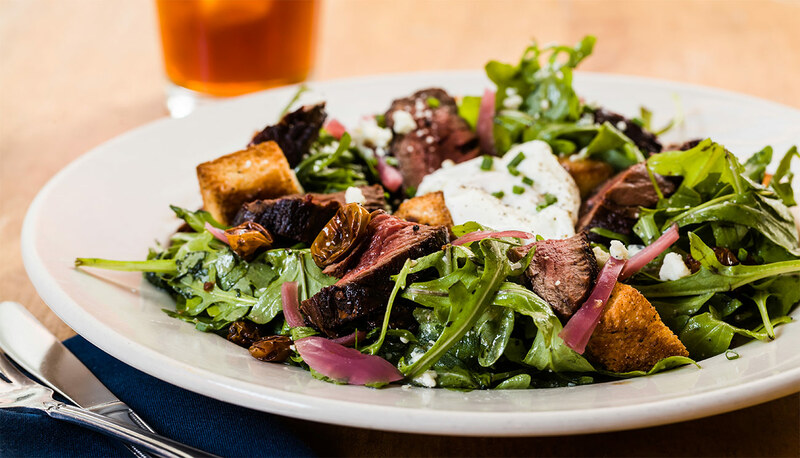 Steak salad - arugula, hanger, poached egg, pickled red onion, cherry tomato, bleu cheese, brioche, red wine vinaigrette. 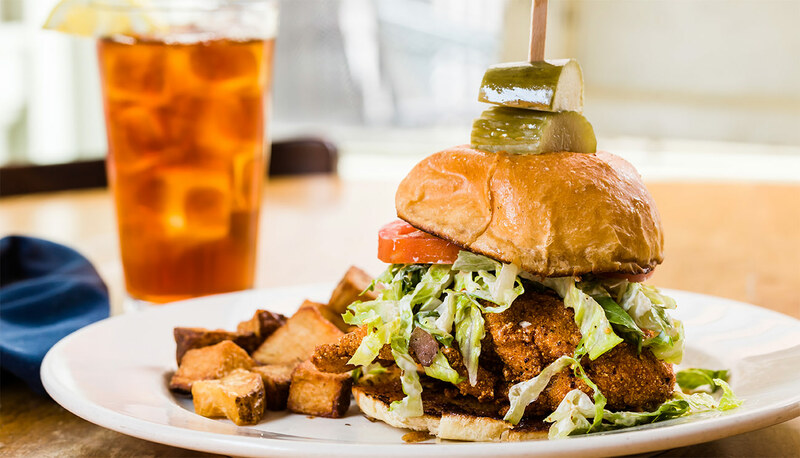 Hot fried chicken - chili oil, lettuce, aioli on brioche bun w/ house pickles. 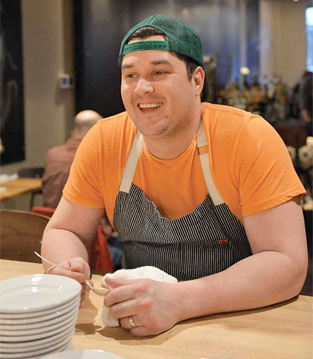 Half & Half has a close relationship with Blueprint Coffee’s Mike Marquard. There is always a Blueprint roast as well as another guest roaster from another like-minded US company available. Cincinnati native. Coffee fanatic. Backyard pitmaster. Record collector. Father of 2. STL born & bred. Chief of Staff. Cappuccino lover. Outdoor enthusiast. Proud mom.